The U.S. Supreme Court recently handed a victory to qui tam plaintiffs everywhere when it handed down its unanimous opinion in State Farm Fire and Casualty Co. v. United States ex rel. Rigsby et al. 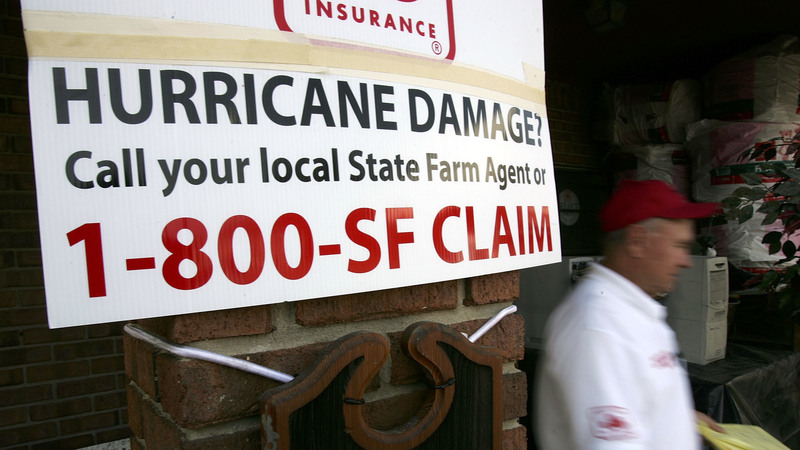 At issue in Rigsby was a lawyer’s disclosure of a sealed complaint arising out fraud allegations against State Farm in connection with Hurricane Katrina. In its opinion, the Supreme Court grappled with two issues: 1) What is the proper remedy under the False Claims Act (“FCA”) where the sealed complaint requirement has been violated; and 2) whether the district court abused its discretion in denying State Farm’s motion to dismiss. Ultimately, the Court determined a violation of the FCA’s seal requirement does not mandate dismissal of a relator’s complaint, and that the district court did not abuse its discretion by denying State Farm’s motion to dismiss. In Rigsby, State Farm argued that Mississippi trial lawyer Richard “Dickie” Scruggs’s public disclosure of Hurricane Katrina fraud allegations against State Farm required dismissal of the relator’s qui tam complaint. By way of background, in the years before Hurricane Katrina, State Farm issued two types of homeowner’s insurance policies that are relevant to the instant case: (1) Federal Government-backed flood insurance policies and (2) petitioner’s own general homeowner insurance policies. For those that purchased these policies it meant that State Farm would be responsible to pay for any wind damage, and that the government would pay for any flood damage. The relators in Rigsby, Cori and Kerri Rigsby, who were former claims adjusters for one of State Farm’s contractors, were responsible for visiting the damaged homes of State Farm’s policyholders in the wake of Hurricane Katrina to determine the extent to which a policyholder was entitled to an insurance payout. Cori and Kerri Rigsby alleged that they, along with other adjusters, were instructed by State Farm to misclassify wind damage as flood damage in order to shift State Farm’s insurance liability onto the government. In April 2006, the relators filed their qui tam complaint under seal. At the request of the government, the district court extended the length of the seal several times. Finally, in January 2007, the district court lifted the seal, but only in part. The partial lifting of the seal allowed disclosure of the qui tam lawsuit to another district court that was then hearing a suit by one of State Farm’s contractors against State Farm that alleged misappropriation of documents related to State Farm’s alleged fraud. In August 2007, the district court lifted the seal in full, and as of January 2008, the government indicated that it would not intervene in the FCA suit. In January 2011, State Farm moved to dismiss the relators’ complaint on the grounds that the relators had violated the FCA’s sealed complaint requirement. State Farm alleged, and the relators agreed, that in the several months before the seal was lifted, the relators’ then-attorney, Dickie Scruggs, sent via email a sealed evidentiary filing that disclosed the qui tam complaint’s existence to several media outlets, and that, once the seal was partially lifted, Scruggs disclosed the existence of the suit to various others. State Farm also alleged that the relators themselves had met with Mississippi Congressman Gene Taylor, who afterwards although he did not mention the existence of the FCA suit at that time. At the time State Farm moved to dismiss the relator’s suit, they were not represented by Scruggs nor any of the attorneys who had worked for Scruggs. Scruggs had withdrawn from his representation of the relators in March 2008 after he was indicted for attempting to bribe a state-court judge. The district court thereafter removed the remaining Scruggs-affiliated attorneys from the case. The district court did not punish the relators for the alleged bribery perpetrated by Scruggs and his attorneys. As part of its decision on State Farm’s motion to dismiss, the district court only considered the seal violations that occurred before the seal was lifted in part. The district court reasoned that the partial lifting of the seal mooted the seal. After balancing several factors, including the actual harm to the government, the severity of the violations, and the evidence of bad faith, the district court decided against dismissal. Following the district court’s denial of State Farm’s motion to dismiss, the case proceeded to trial, resulting in a victory for the relators. State Farm thereafter appealed to the Fifth Circuit Court of Appeals. The Fifth Circuit affirmed the district court’s denial of State Farm’s motion to dismiss. The Fifth Circuit noted that State Farm’s appeal raised two central issues: 1) whether a seal violation requires mandatory dismissal of a relator’s complaint and, if not, 2) what standard governs a district court’s decision to dismiss. Upon those two issues, the Fifth Circuit held that automatic dismissal is not required under the FCA. The Fifth Circuit, utilizing the same test as the district court, came to the same conclusion as the district court, which was that automatic dismissal was not warranted in this case. [T]he District Court did not abuse its discretion by denying petitioner’s motion, much less commit plain error. In light of the questionable conduct of respondents’ prior attorney, it well may not have been reversible error had the District Court granted the motion; that possibility, however, need not be considered here. In general, the question whether dismissal is appropriate should be left to the sound discretion of the district court. Under the Supreme Court’s holding in Rigsby, a relator’s claim is not subject to automatic dismissal for a violation of the FCA’s sealed complaint requirement. However, while not subject to automatic dismissal, the Supreme Court has said that dismissal is an available remedy under certain circumstances, and that, even in Rigsby, dismissal may have been warranted given the “the questionable conduct of [the relators’] prior attorney.” Thus, although a violation of the sealed complaint requirement may not warrant automatic dismissal, there is no guarantee against dismissal in cases where the sealed complaint requirement has been violated. If you or someone you know has information regarding possible violations of the FCA by your employer, please contact our whistleblower attorney team today for a consultation. You can contact our whistleblower attorney team via email at kporter@chrisjen.com, or by phone at 801-323-5000, or through our contact form.